Insoles (often referred to as footbeds, inserts, or inner soles) are the part of the shoe or boot that is located directly underneath the foot and are designed to provide cushioning and support for your feet. Manufacturers of boots and shoes almost always include a insole in the construction of their footwear and they are generally removable. Unfortunately, they are also often very cheap, basic and thin. To get the most out of your boots, you may want or need the extra support and comfort of insoles that are designed to accommodate your specific foot needs. Therefore, you need to find the best insoles for work boots that will help you to get through the day comfortably. To help you better understand which inserts are available, we have researched the top inserts on the market today so that you can pick from the best options. If you need high quality customized support, comfort, and performance without the high costs of custom orthotics, then you should consider the range of insoles from Tread Labs. Their Stride insoles are available in four different arch heights and various sizes to ensure a precise fit, prevent fatigue, and improve your foot’s natural shock-absorbing ability. They are particularly effective for relieving the pain of plantar fasciitis and flat feet. 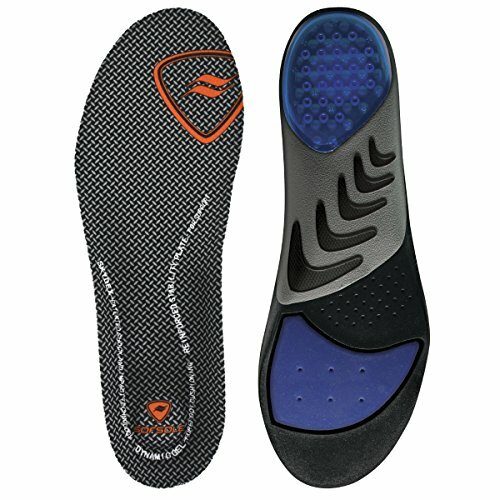 Purchasing from Tread Labs is risk free since insoles can be returned for any reason within 30 days and shipping is free both ways. The molded arch supports are guaranteed against breakage and wear – forever – and Tread Labs prides themselves in providing exceptional customer service. They even have a very helpful Find your perfect fit tool that will help you find the best insole for your unique needs. While cheaper insoles only offer soft cushioning that wears out quickly, the Stride is designed to provide medical grade support and comfort that will last along with an advanced, durable cushion. 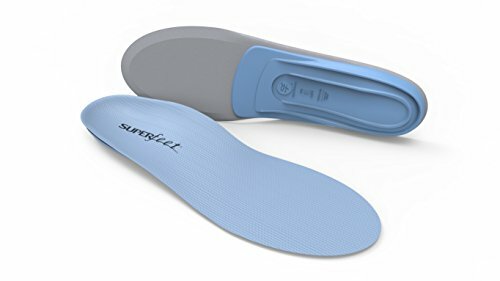 If you consider the total cost of a guaranteed arch support with replacement covers that cost much less than generic alternatives, then these insoles are a great value. If you spend a lot of time on your feet and want some of the best support you can find, then check out the Active insoles from ALINE. This all adds up to a suspension system that protects your whole lower body and improves your balance, alignment, and performance. More than 100 X-Games medals, 13 Professional Golf Tournaments, and 12 Olympic medals have been won by athletes with ALINE in their shoes, but they can help the rest of us with major foot-related problems including: shin splints, heel spurs (Exostosis), achilles tendonitis, plantar fasciitis, back pain, and metatarsalgia (ball-of-the-foot pain). While these insoles are on the high end, they provide superior support so that you can give your best every day. Compare the cost over time to the benefits of reduced foot, leg, and back pain and you’ll realize that these are an investment in your best self. To prove it, ALINE stands behind their insoles with a Risk Free 90 Day Money Back guarantee! FORM insoles are a great mid-range option between cheap, disposable replacements for standard insoles and higher-end insoles that cost much more. The key features are noticeable padding and improved comfort right out of the box and the fact that you can custom-mold them for your unique foot and boot shape. 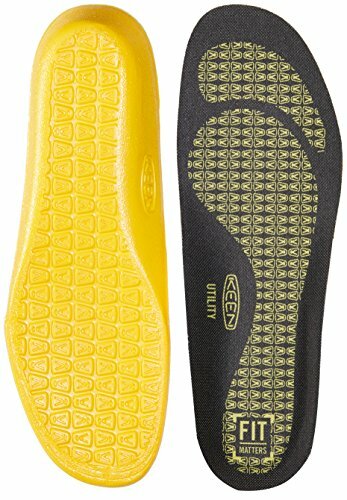 Wear ‘N Form – FORM insoles are designed to feel good right out of the box but after you use them for a few days, the base will naturally change to fit your unique foot shape. Warm ‘N Form – For more advanced customization, you can warm up your insoles in an oven, place them in your shoes, and after a few minutes of standing, they will adjust to the shape of your shoe and foot. What’s even better, is that you can do this up to 5 times with the same pair of insoles as you move them to different boots! While they are great for anyone who wants more comfortable boots, FORM insoles can also help with plantar fasciitis, over pronation, arch pain, heel pain, knee pain, back pain, shin splints, heel spurs, bunion pain and heat blisters. Soft, comfortable high-density foam for prolonged shock-absorbing comfort. TemperWeave™ top layer fabric regulates temperature and reduces moisture and odor causing bacteria. All of the features above are available in all FORM insoles. They have a variety of products for different footwear and uses but the two that will work the best in boots are the MAXIMUM and REINFORCED options. FORM MAXIMUM insoles provide extra-thick cushioning for maximum support in the boots you wear for long hours. These are a great choice for anyone who is on their feet all day. FORM REINFORCED insoles are based on the MAXIMUM but are even thicker with additional reinforcement in the heel and arch for those people that weight 200 pounds or more. There is no doubt that you will notice the improved support and comfort of FORM insoles right out of the box and you’ll love them once they have been customized for you. They will make any boots more comfortable and help your feet last through long hours of work. Just to be sure you are happy, if you are not satisfied with the comfort of your FORM branded insoles in the first 100 days, FORM will refund your money. Try out a pair now! 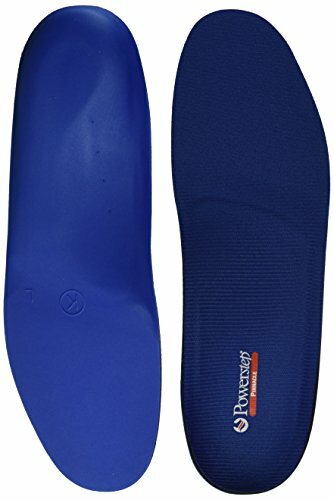 The Powerstep Pinnacle orthotic and shoe insole is popular due to its versatility and ability to help alleviate many common foot conditions such as plantar fasciitis, mild to moderate pronation, metatarsal pain, heel and arch discomfort, flat feet, sore and tired feet, and much more. It supports all arch types and fits into a variety of shoe types and offers the perfect blend of foot control, spring and cushioning for outstanding comfort. Deep heel cradle help to stabilize the foot in casual, athletic and work shoes. The Timberland PRO is not only designed as a replacement insole for Timberland work boots, they also work with all other shoes or boots. The lightweight design of these synthetic inserts conforms to the natural shape of your foot to provide ample support, comfort, and shock absorption. In addition, these specific insoles have a versatile arch to work with any foot type. Plus, they are equipped with a top cover that provides anti-microbial odor control and temperature regulation to protect your feet after extended shoe or boot wear. Some people claim that they run big, so you may have to cut them down for a perfect fit. This is easy if you use your old insoles as a template. 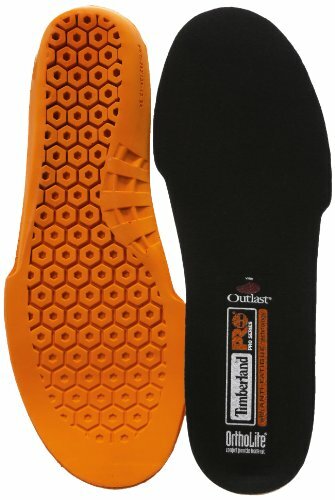 These basic insoles are a step up from the default in your boots, but provide very few of the benefits of the better insoles listed above. 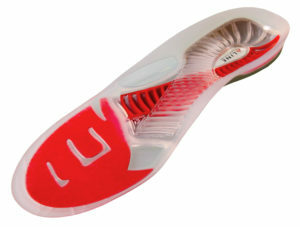 Superfeet Trim-To-Fit Low Profile Insoles is a medium-profile insole with the shape that can fit into most footwear while providing intermediate support. They can be worn with most shoes or boots, even those that do not allow for much extra room or do not have removable insoles. They are a synthetic insert made with a foam footbed and polypropylene stabilizer cup. The deep heel cup absorbs and evenly redistributes inertia shock and controls heel deflection. An anti-microbial coating eliminates odor-causing bacteria. These are popular with those who have plantar faciitis. Superfeet COPPER are low-profile insoles made for any type of shoe that offer the most flexible and accommodating shape and support. Made of memory foam that captures the shape from the pressure of your foot while you stand, walk or run through the day. Biomechanical support for all foot types and can help reduce stress on feet, ankles and knees. Stabilizer Cap provides structure and support to the closed cell foam layers. Heel cup and can help position the heel to naturally absorb impact. Memory foam top layer captures the shape of the foot. Durable bottom layer maintains shape and support. Organic, odor-control coating eliminates odor-causing bacteria. Sof Sole Airr Orthotic Insoles are geared towards low arches and flat feet but provide support for for running, cross training, walking, or for long days in boots. The reinforced arch support enhances motion control and promotes alignment. Air bubbles in the heel and arch absorbs impact, gel forefoot enhances shock absorption. COOLMAX fabric top cover wicks away moisture so feet feel cool and dry. These basic inserts feature medium arch support, shock-absorbing pads and a full-length layer of high-rebound foam help fight foot fatigue for long days on your feet. The Superfeet GREEN insoles offer affordable, professional-grade orthotic support, performance and comfort for anyone who wants their footwear to fit and feel better. It’s popular for those with heel pain & plantar fasciitis. Insoles can assist you with your flat feet condition however, there are several brands to choose from and not all of them get good reviews. So, how do you know you’re selecting the best insoles available for your flat feet? You read the reviews on bootratings.com and educate yourself on what’s out there. To make it easier for you, we have thoroughly reviewed the top orthotic insoles available for flat feet. 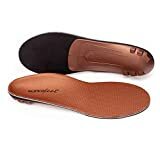 Samurai Insoles are a natural form-fitting orthotic insert that is designed to work with the interior of the shoe or boot by preventing the flattening of the feet. They are constructed with a polypropylene layer within a high-density padded shell that adds maximum shock absorption to cushion the impact of each step. They also assist in realigning the foot joints when necessary. In addition, these specific insoles are compatible with a large variety of footwear, mainly because of their slim design. Plus, they offer a 60-day, no questions asked, money back guarantee. If for any reason these specific inserts do not work for you, they will give you a full refund. Not only are these insoles recommended for flat feet, they also claim to work for those with plantar fasciitis and other foot conditions. Specifically designed for sports shoes and work boots, Footminders Comfort Orthotic Arch Support Insoles provide adequate arch support and cushioning to assist in relieving the pain associated with flat feet and plantar fasciitis. They are constructed with dual layers of firm cushion and an additional 2mm of cushioning to your heel and forefoot. By improving your stance, they can also assist in correcting your posture. 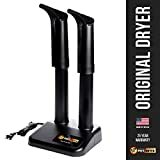 These particular inserts are full-length, which means they run the length of your shoe for maximum support, plus they can accommodate wider shoes and work boots. For those who are on their feet for long periods of time, Footminders Comfort Orthotics would be an ideal choice especially if you have a wider foot. As another top brand of insoles for flat feet, these are designed to support your heels and arches to alleviate pain and provide comfort to those with fallen arches or plantar fasciitis. Also, these specific insoles can fit any type of shoe, even work boots. They are equipped with an antimicrobial fabric lining that combats bacteria and odor to keep your feet fresh all day. 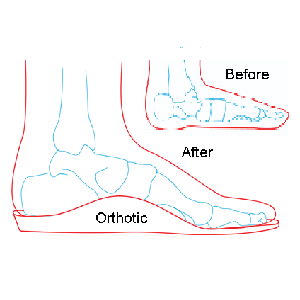 In addition, these orthotic inserts were designed by podiatrists to provide adequate lift and stability for your arches. The Poron Heel and forefoot cushions provide shock absorption to alleviate the impact from walking on hard surfaces. Superfeet Black Premium Insoles come in various sizes to accommodate most every shoe type. They are made of synthetic material with an anti-bacterial coating to prevent odors. These low arch support insoles are designed to provide support and comfort to those with flat feet and plantar fasciitis. The shape of the insert helps to stabilize the foot and the full-length foam and heel cup support your foot comfortably and alleviate pressure placed on the arch area. In addition, the Superfeet Black Premium’s design is versatile enough to support all types of arch issues. 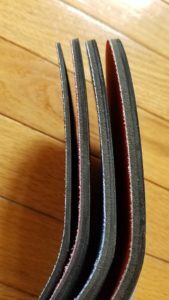 The curvature incorporated on the insert is less than regular orthotic inserts for flat feet, so they would be ideal for those who require less support. They fit well inside shoes and boots and can even be used in boots or shoes without removable insoles. There are many reasons why someone would require an insole or insert. However, a medical condition is not a requirement to incorporate an insole or insert into your footwear. ANYONE who spends long hours on their feet or works hard in boots could benefit from additional cushioning and/or support to help alleviate stress and fatigue. Often times, people that are on their feet constantly can benefit by using inserts to prevent back pain or overtired feet. Additional reviews of some great shoes for standing on concrete are available. Those with medical foot conditions such as plantar fasciitis, low arches, high arches, or alignment issues need additional support to assist in correcting those issues. Anyone who has plantar fasciitis knows how uncomfortably painful it can be. For those who have improperly sized shoes that allow their feet to slip forward or backward can benefit from an insert to stabilize their foot. If your foot is constantly slipping into your footwear, there is a greater possibility of rubbing and getting blisters. Furthermore, some conditions cause the foot to roll on either side causing an improper step and excessive wear to certain parts of the shoes or boots. An insert designed specifically for that purpose will keep the foot properly aligned to avoid rolling of the foot while walking. Sometimes an insert can also help those with bone spurs or bunions, as they provide additional cushioning to those areas alleviating pressure and further irritation. Do you often experience pain or tired feet at the end of the day or during regular wear? Even if you’ve invested in the perfect pair of work boots, your feet may require something extra to be comfortable. An insole can be the perfect fix to alleviate pressure, fatigue, pain, and discomfort caused long wear or conditions such as flat feet, high arches, back pain, bunions, and other conditions. To determine what type of insert you require for your specific condition, you first have to realize you have a condition and know what that is. There are literally hundreds of orthotic inserts on the market, and selecting just one can be overwhelming. 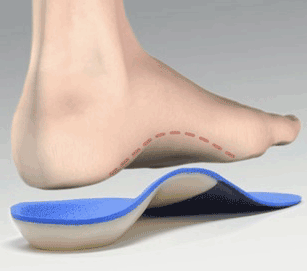 Certain insoles or inserts are for specific issues and are not engineered to accommodate everyone. First of all, there are two separate types of insoles: those that are designed only for comfort, and those that are designed for support. A comfort insert is one that provides additional cushioning for relief from everyday activity, such as standing and walking for extended periods of time on hard surfaces. Comfort inserts can either be flat padding or shaped with gel or foam for cushioning. It’s important to note that if after wearing a comfort insert you’re still experiencing some sort of pain, then you might have a condition that requires additional support. If this is the case, you might want to consider a support insert. Support inserts feature a harder, less flexible material that is structured in such a way to support certain areas of the foot, including the heel and arch. They can also have features incorporated to support the ball or metatarsals, plus assist in the realignment of the joints. Those with plantar fasciitis or flat feet require additional arch support that forces the foot into a more natural position. The same goes for those with higher arches because, without that additional support to conform to the arch, there is too much give which can cause unneeded pain. Some people have an overpronation of their step when walking, which means that the foot naturally rolls in or out while stepping. A support insert can help with stabilizing the foot so there is less of a tendency for slipping from either side or support proper alignment. In order to determine the proper fit of an insole or insert, you should step on the insert prior putting it in the shoe or boot. Lift your other foot off the ground and balance on the insole. How stable does your foot feel on the insert? Is your heel cupped properly and how much pressure do you feel in the arch and ball area of the foot? Next, place the insert in the shoes or boots you are intending to use them with. Put your shoe or boot on and assess the fit of the insert. Be sure to remove the old insert prior to doing this. Now, how does the pressure feel? Does the insert support your foot properly in all the necessary areas? In general, how does your foot feel overall? If you’re experiencing any discomfort, then that particular insert is either sized wrong, or you don’t have the correct one for your needs. Inserts are designed to assist your feet and not hinder them. Before investing money in an insert, be sure that you properly review products that are designed to meet your specific needs. As we mentioned previously, there are several inserts available with different features for different issues. As a general practice, insoles that come in shoes or boots aren’t glued down. Reachinside the shoe and lift out the old insole carefully to avoid ripping and tearing. Put the old insole aside in case you need to use it as a guide for sizing the new one. Sometimes, inserts or insoles have guided lines that you can easily follow to trim to your appropriate size. But if they aren’t equipped with these guidelines, you’ll need a pattern. Next, slide the new insole into the shoe or boot toe first. Fold it in half like a taco to reach the toe area and then use your hand and press down in all areas to make sure that the insole is positioned properly without any lumps or creases. If the insole does not conform easily to your footwear, then you might have to trim the excess material. This is when you will use the guidelines or the old insole. If you’re using the old insole, place it on top of the new insole and trace the shape with a pen or pencil. Finally, trim the excess off by following your pattern until you achieve the proper fit. Now that we have provided you with some valuable information on the best inserts for shoes, we hope that you will apply the knowledge you have learned and will be able to select the perfect insoles for your work boots and shoes. We at BootRatings.com strive to obtain all the information that is available and combine it into one convenient place so that you can make the best decision.